It’s as Simple as A,B,C at Big Bay Yachts… Albemarle, Brokerage and Cobia Boats!!! Big Bay Yachts is the dealer for Albemarle and Cobia boats and also represents some of the finest brokerage vessels around. We at Big Bay Yachts, feel that Albemarle and Cobia represent some of the best vessels for the dollar in today’s marketplace. We are showcasing the Cobia 201CC, and the Cobia 220 Dual Console at the upcoming San Diego International Boat Show, these 20’ and 22’ designs offer amenities of far larger boats. Add the high quality fit and finish along with the great Cobia/ Albemarle rides and performance, and that makes for vessels that are hard to beat! When combined with attentive service from Big Bay Yachts you have some of the best value available on the water today. We will also feature at the San Diego International Boat Show 2 great brokerage fishing boats, a 28’ ProKat Center Console with small cuddy and a 38’ Blackfin combi. Both are ‘best in class’, super clean and ready to go. 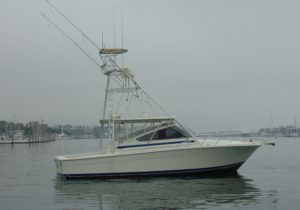 We have brokerage deals for every budget so you can get out on the water and fish! From a 32’ Glacier Bay 3080 ($169k ask), to a 33’ L& H Walkaround ($279k ask), a 54’ Bertram ($471K ask) or a 2013 55’ Viking ($2.1M ask), we have your deal waiting! Not into fishing? See our website and find a range of watercraft for all types and budgets. From a spectacular 78’ Ferretti MY ($2.4M) to a 24’ Maxum ($17,500) or a 32’ Endeavor Sail ($30,000) or a 27’ O’Day Sailboat ($12,500) come down and see how we can help you get out on the water. Big Bay Yachts is a full service yacht brokerage with purchase, sales, management, and construction services dedicated to providing professional, quality service and counsel to our clients to maximize their boating lifestyle and enjoyment.